How To Make A Sales Funnel That Increases Revenue 256% | SeedX Inc. Recently, SeedX experienced a 256% increase in revenue from refining our sales funnel! 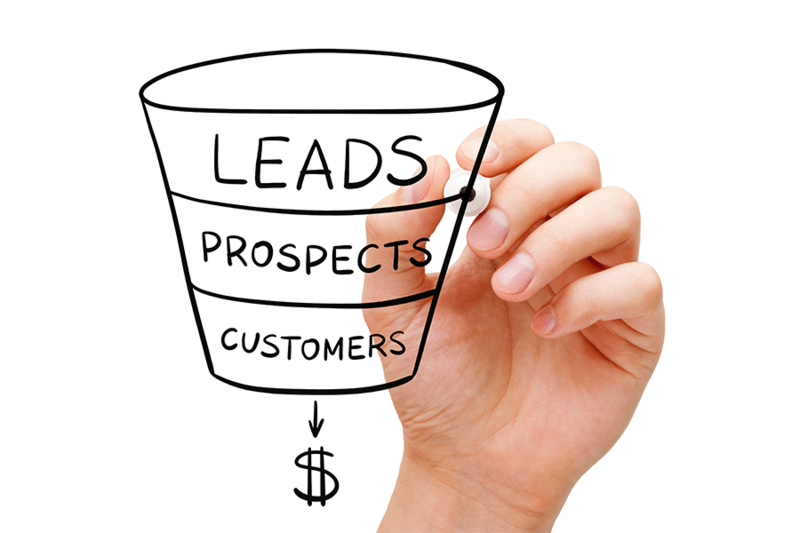 If you’re a business owner, a sales funnel is the most important marketing tool you have. And yet, many entrepreneurs struggle with understanding how to build a sales funnel that works. Failing to fully understand this part of your business means fewer sales, lower profits, and an unstable business. That is why we created this guide on how to make your first sales funnel, or how to improve the existing one. A sales funnel consists of free content, and many sales funnels begin with blog posts, YouTube videos, Facebook content, and other information readers can access at no cost. This is the top of your funnel. Next, you will have an attractive offer that requires a very small action from a customer – typically leaving an email address. You’ve seen this type of offer on websites all over the internet, and probably even signed up for some. This is the free ebook or guide, video series, discount code, checklist, or other valuable content that is available in exchange for signing up for an email list. Once on your mailing list, you will present your readers with a series of low-cost offers, such as a trial membership or free shipping on the first order. Customers who purchase your low-cost offers move further down the funnel, and are presented with more products. As they continue to buy, they move closer to your most valuable offers, which make up the bottom of your funnel. Your free content at the top of the funnel is consumed by the largest number of readers. Below that, your low-cost item attracts a smaller subgroup of the true freebie seekers. Furthermore, your low-priced products bring in yet a smaller group, and lastly, as you near the tip of the funnel, only the most loyal customers will purchase your high-priced offers. Your job, as an entrepreneur, is to ensure that your funnel leads buyers naturally from the top, to all the way to the bottom of the funnel. There are three types of sales funnel – acquisition, activation, and monetization. Acquisition should be designed and architected to help the business acquire as many new prospects as possible. Activation is architected to help the business convert as many of its prospects into recent buyers. Monetization should be designed to help the business generate revenue from its active buyers and subscribers. Each of the funnels mentioned above is unique in its own way and generates results differently. So, which funnel should you use? If you need to turn cold prospects into leads, then you should use an acquisition funnel first. When you need to turn your existing leads into customers, you should build an activation funnel, and if you need to turn your buyers into loyal customers, build a monetization funnel first. Now that you know which funnel suits your business needs best, how do you build one? The general idea is to start at the end and work your way up, so that you know exactly what you want to achieve at the end of the funnel. All your website visitors come from your website traffic source – the one that turns strangers into engaged prospects. To make that happen, you should make sure that all the traffic is directed to a specific landing page with optimized content that leads them to the next step of the funnel. *Press releases and affiliate programs. Now that you have successfully directed your traffic to a landing page, the key is to keep your visitors interested. Failing to do so will make them to bounce off. The best way to keep your audience engaged is by showing them the value they are looking for. For example, if you’re an e-commerce store, direct the traffic to a landing page where they can find a discount code or free shipping info. Once you have converted a customer, you should not rest. Following up with him or her is a crucial part. Frequently, after-conversion metrics such as click-through rates or additional orders go down because of the lack of adequate follow-up. Keep supporting your customers by sending them relevant offers and schemes, so that they come back to your website and make another purchase. How To Calculate The Effectiveness Of Your Sales Funnel? Even if your sales funnel is perfectly optimized, there are going to be some prospects that bounce off. Therefore, you can never achieve a 100% conversion rate, and that does not mean that your sales funnel is not successful. Here are some metrics that you can use to measure the effectiveness of your sales funnel. Conversion rate gives a summary of your sales funnel performance. It is one of the most important metrics, as it tells you how many people were actually interested in buying your products/services. The conversion rate can be determined by the total number of conversions divided by the total number of views. Consumer lifetime value allows you to determine the amount of money you will make from a particular customer over the lifetime of their relationship with your business. If the CLV metric does not increase over the lifetime of your relationship with a customer, your sales funnel needs fixing. Consumer lifetime value is the product of average sales, number of repeat sales, expected retention time and the profit margin coming from a particular customer. Customer Acquisition Cost can be calculated by taking into account all the money spent on marketing activities for a particular period of time divided by the total number of customers acquired for the same period of time. If the CAC is not decreasing over time, it means that you are losing lots of money, and that your sales funnel needs fixing. Click through rate determines the relevancy of a particular ad to the audience. This metric can be calculated by dividing the total number of clicks on a particular ad by the total number of impressions on the same ad. The higher the clickthrough rate, the better. ROI is used to compare the money you are making with the money you invested, and it can be calculated by determining the profit earned and dividing it by the total cost. A greater ROI signifies a higher profit margin. If you follow these simple steps, we have no doubt that you will see improvement in how your sales funnel performs. These steps are general enough to apply to any industry, yet can be applied within any particular niche to great effect. Start creating or improving your sales funnel today and generate more sales than ever before!